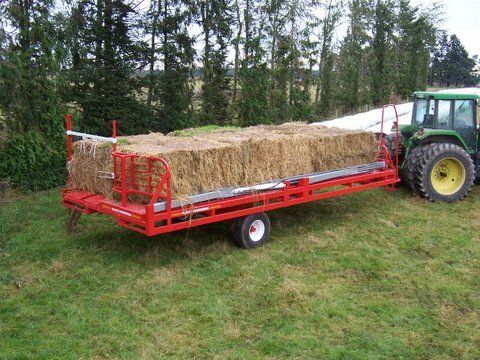 Our Single Layer, Double Row, Square bale feeder can carry and feed out 8 of Bailage bale’s (4 on each side) and 6 or more of Big square Straw bales (3 on each side) up to 2.2 Meters long each, or any combination of both on either side that don’t exceed the working deck length of 7.1 Meters for each side. 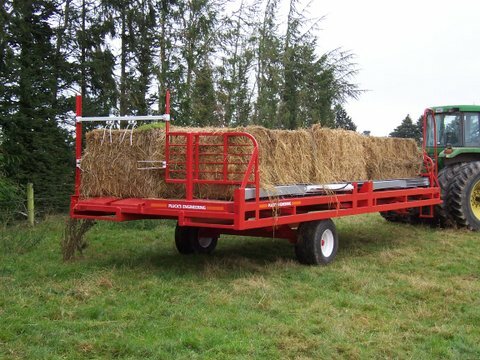 The Spring loaded heavy duty Tedder fingers fixed to the vertical and overhead beams at the rear of the trailer ensure that only the slabs of the bale that have been pushed past the Tedder fingers reach can fall off, just like a deck of cards standing vertically on a table getting slowly pushed over the edge of the table one card at a time. 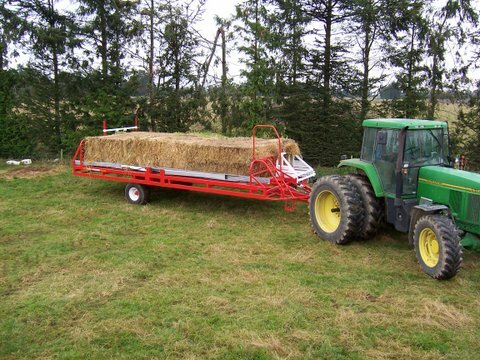 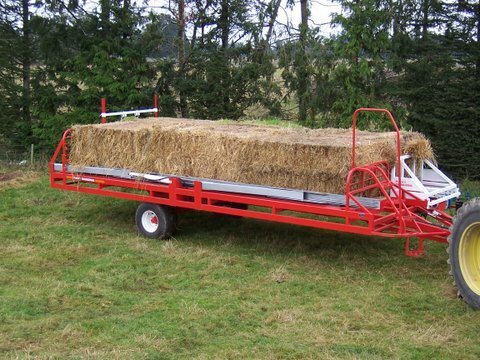 Once you have feed out one side of this type of trailer you simply return the pusher frame to the front of the trailer (takes just 1 minute) you then operate the side shift hydraulic ram to expand the side shift sweeping frame that sweeps the second row of bales sideways ready to be feed out as well. 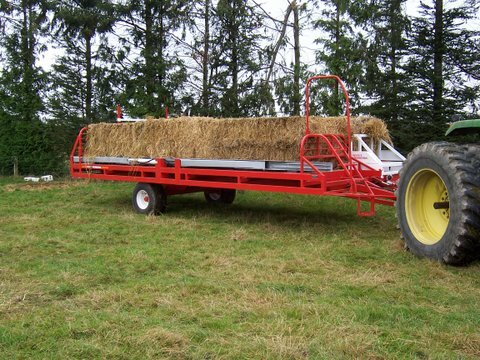 Please contact us for more info and detail on how they work.